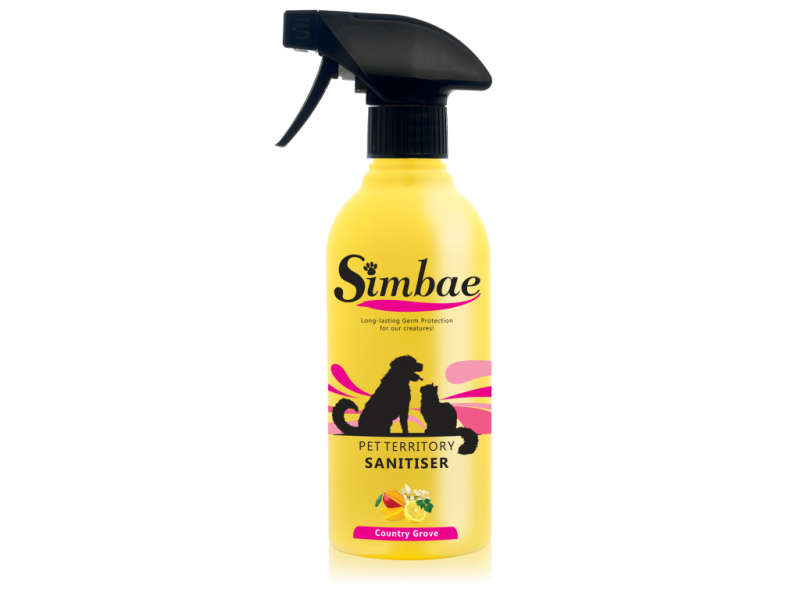 Simbae's Pet Territory Sanitiser disinfect your pet’s favourite spot. Simple to use, quickly to act, and easy to rinse. Simply spray the sanitiser onto surface and leave to penetrate for up to 2 minutes before wiping down with a dry cloth for long lasting sanitising protection. Suitable for all surfaces. Uses fresh scents from natural ingredients. Available in 2 scents. Spring Green: an intermingling of floral aromas of Lavender, Jasmine, Lily of the Valley and Violets - balanced with a Milky Powder. This collection of fragrant blossoms is the embodiment of love, care and generosity. Directions for use: Spray onto surface and leave to penetrate for up to 2 minutes before wiping down with a dry cloth. Suitable for all surfaces.